A new experience culture is emerging within retail’s bricks and mortar as advancements in technology become part of the in-store environment. Many consumers who visit stores expect at a minimum the same creative, personalized, brand experiences they are receiving online – if not more amplified. In the future, expect to see (1) Artificial Intelligence systems in stores that know exactly who we are, communicate directly with us and acknowledge our shopping histories and preferences. By monitoring which products we linger around and where we walk or what we pick up, (2) integrated sensor systems will continuously gather a consumer's personal behavioural data while in store. Combined with (3) new communications channels, such as what we currently see in connected cars or voice recognition devices such as Alexa and Siri, we will be able to choose products, walk right out of the store and be billed directly afterwards. We are already seeing the beginnings of this with Amazon Go, the new grocery store that opened earlier this year in Seattle. It has no staff, no queues and no checkout. Amazon is also currently leading the way with (4) quick-fire delivery by drones, where its Prime Air will have our goods delivered within the hour. (5) Voice and eye recognition will be used while we circulate products, and on entry and exit to the shop. (6) Virtual reality is already being used to immerse shoppers in environments such as fashion shows to view the latest collections, and will evolve further to include more immersive experiences that stimulate more of our senses, in particular touch. In the future, (7) retailers will continue to be mobile-led, but with an increased focus on using their personal shopping data to competitively communicate directly with them while they shop as well as recognising the consumer once they enter the store. For example, if we’re standing in an aisle deliberating between two products and one product sends a coupon to our mobile device, we are much more likely to select the product with the coupon. Coupled with (8) personalised advertising targeted at us while we navigate a store, our shopping experiences will feel enabled to direct us to finding what we want, with our mobile device becoming a kind of (9) virtual personal shopping assistant. (10) Immediate product personalisation will continue to be key in exciting the consumer in store, in as many unique ways as possible. We are already seeing this with retailers such as the Nike Maker’s Experience in its New York Soho store. Here, customers can have personalised Nikes in under an hour, instead of dragging out their anticipation with a much longer wait online. (11) Streamlined payment systems will continue to evolve such as using Apple Pay on a mobile device, and the Starbucks app for pre ordering and pre paying, with frictionless, transparent checkout experiences becoming the norm. This advancement will negate the need for a checkout area, with staff using mobile handheld devices to accept payment, and also integrate options where the checkout is consumer-led. (12) Showrooming will continue to improve and evolve. Shoppers will use their in-store experience to try out products, but continue with their purchase online, where they can explore an abundance of competitive price points. The rise of (13) the concept store, where more than one genre of goods is sold, will continue to evolve through collaborations between retailers, artists, designers and charities. These will often come with an emphasis on personal sustainability, encouraging us to slow down from "always on, always connected" lifestyles. A great example of this is London’s recently opened Hello Love, which features holistic therapies and treatments, many free of charge, geared towards those suffering with cancer, as well as cultural collaborations between high profile artists and charities. 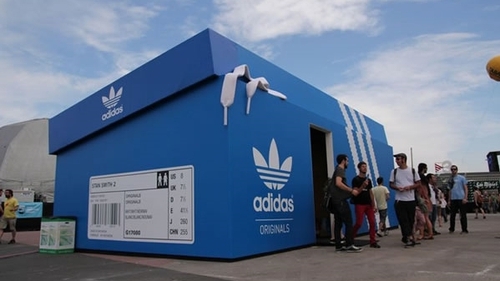 Online stores will continue to maintain their interest in routinely exhibiting a physical presence, with (14) the continued evolution of the pop up shop. This in-store experience will be focused on entertaining the consumer, further blurring the lines of ecommerce and in-store commerce. One of the most recent interesting developments with this has been Amazon’s purchase of US food giant Whole Foods…watch this space! (15) The use of sensory technology, where our emotional responses are recorded while we are in a store, will provide further data for retailers. This will help them to categorise their customers and use data analytics to develop on existing personalisation offerings based on reactions to products. Many of these changes to the in-store experience are sparking new discussions about job security, manufacturing, sustainable production and the decay of moral ethics within our society. The driverless Uber, the drone delivery and the self checkout are experiences that limit the routine tasks once done by a person. However, the recent trend of online retailers opening physical stores means the in-store experience looks set to progress and evolve for the digital age. As we enter the new geological epoch of the Anthropocene, the age of consumerism still looks set to continue to dominate. But with interesting opportunities to slow down and reflect, or to redesign the way products are made and transported, hopefully we will be provided with valuable junctures where our purchases out of desire versus need can be re-evaluated. Former American president Jimmy Carter’s views on consumerism still resound clearly today: "human identity is no longer defined by what one does but by what one owns. But we've discovered that owning things and consuming things does not satisfy our longing for meaning. We've learned that piling up material goods cannot fill the emptiness of lives which have no confidence or purpose"